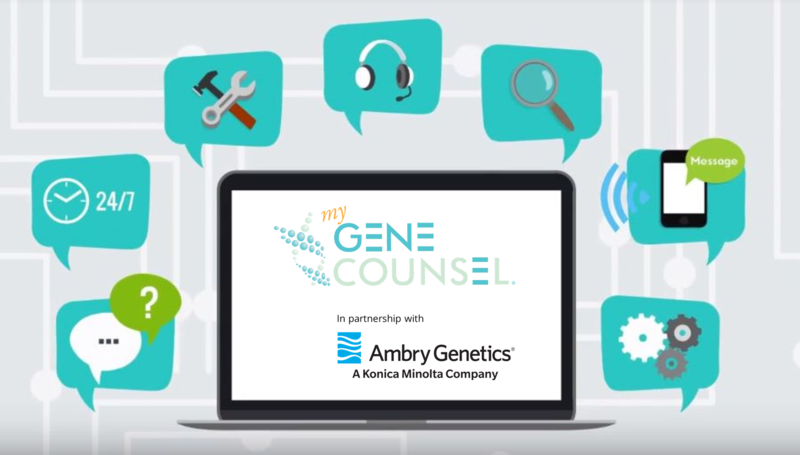 My Gene Counsel is a HIPAA-compliant digital resource for genetic information and a one-stop-shop to stay on top of advancements tied to personal genetic test results. The company was founded in 2014 by certified genetic counselors with more than 30 years of clinical experience and leadership in genetic counseling and testing. From deep in the trenches of clinical care, they saw the need to provide consumers and clinicians with a progressive, digital method of ensuring accuracy and staying up-to-date on their genetic test results. For more information, visit http://www.mygenecounsel.com. Ambry Genetics is a leader in clinical diagnostic and software solutions, combining both to offer comprehensive and high-quality genetic testing. As part of the Konica Minolta family, Ambry Genetics is responsibly applying new technologies to the molecular diagnostics market to bring about precision medicine. Founded in 1999, Ambry Genetics has longstanding expertise in clinical genetic testing. For more information about Ambry Genetics, visit ambrygen.com.